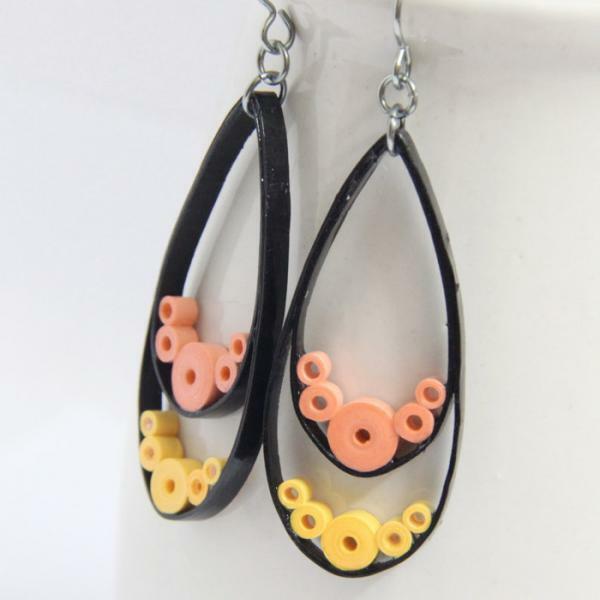 These trendy teardrop earrings are eco friendly and handcrafted by the art of paper quilling. Bold and beautiful! 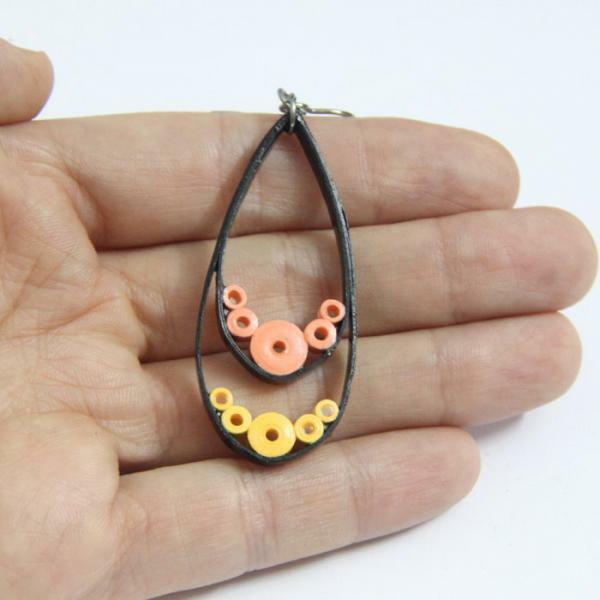 The classic black is accented with trendy neon yellow and light orange melon. 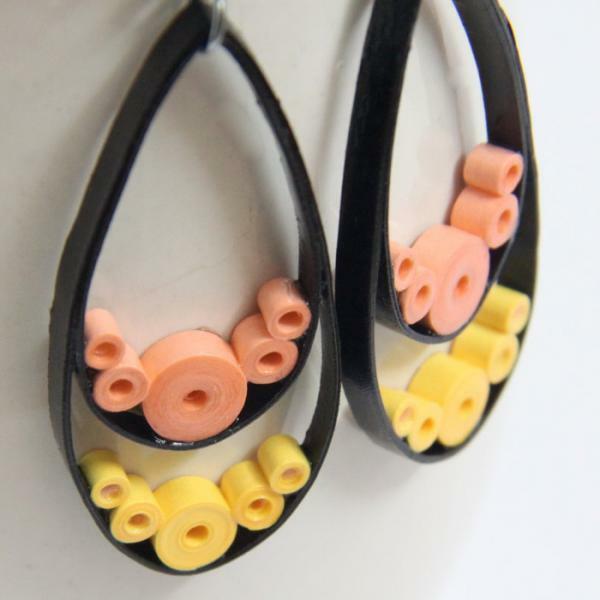 I have one pair of these earrings in stock. If you order more than one, please allow extra time for the others to be made.